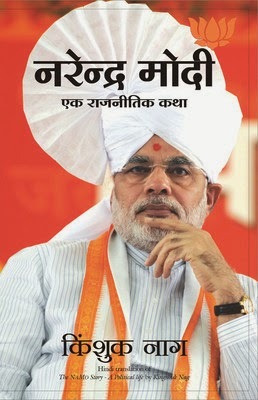 Naredra Modi - Ek Rajneetik Katha is a book that traces the life of Narendra Modi, a very famous politician who has definitely carved a niche for himself in the political world with his radical methods of achieving success. The politician started his career as a humble RSS pracharak and from there his fame began to take him to heights that very few politicians have ever been able to reach in their careers. What followed was Modis involvement in the Hindutva movement and his pivotal role in the Bharatiya Janata Party, as their key planner. Narendra Modi then went on to become one of the most popular Chief Ministers in India, along with being hailed as one of the most controversial ones too. However, it must also be mentioned that Modi has been responsible for numerous path breaking changes in his state, which have made a world of a difference there. His radical methods of change and development have gained immense popularity in recent years, with many other leaders seeking to implement them in other areas as well. His alleged involvement in the Godhra aftermath has also been mentioned here, along with the upcoming 2014 General Elections, which seem to only be centered around him. It also gives the readers an idea of what the politician might be able to accomplish in the years that lie ahead.